As Peter Walker writes in a recent article in The Guardian, the word staycation – a predicted mass shift by recession-hit Britons towards domestic holidays – has slipped inexorably into the modern tourist lexicon in just a matter of months. And if you believe all the media reports on this phenomenon, a combination of the recession and the feeble pound will see/have seen millions of families abandoning their villa on the Algarve for a cost-conscious domestic alternative. According to a recent survey by Mintel, some 35% of Britons said the economic climate had stopped them from booking a main holiday in the next six months, despite the fact that such a break has increasingly become seen as a right rather than a privilege throughout the recent era of cheap, easily accessible overseas travel. 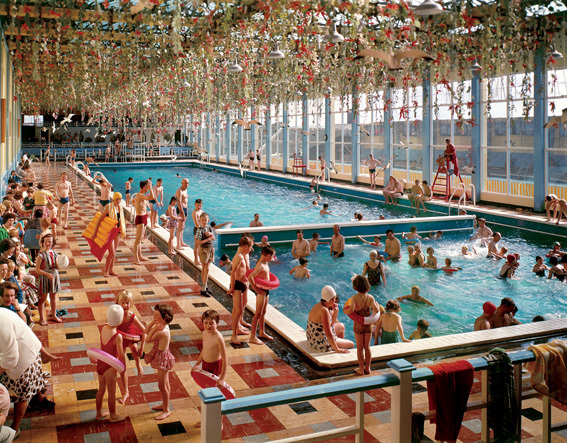 As a result domestic holiday centers such as Butlins – that veritable English institution – are enjoying a revival. Butlins, the nation’s favourite cheap and cheerful holiday resort may have battled with an image problem in the past but new investment is hoping to put it firmly on the pampering map! The company’s PR department has obviously been in overdrive recently with articles on their new £20 million Ocean Hotel in Bognor Regis (the South Coast resort that famously caused George V to exclaim ‘Bugger Bognor!’ when told by his doctors to convalesce there) featuring in most of the national newspapers. Take this report in the Daily Mail for instance. The first holiday camps in the UK were the masterplan of entrepreneur William ‘Billy’ Butlin, who had seen some lakeside holiday centres during a visit to Canada during World War I and realised that they were something that could easily be introduced to his native Britain. Butlin selected the seaside town of Skegness, Lincolnshire, for the location of his first holiday camp, which was opened on 11 April, 1936. The story goes that he first spotted what became the company slogan – “Our true intent is all for your delight” – emblazoned on a fairground organ, little knowing that it was a line from A Midsummer Night’s Dream. The postcards were brought together in a wonderful book edited by Martin Parr and published by Chris Boot. 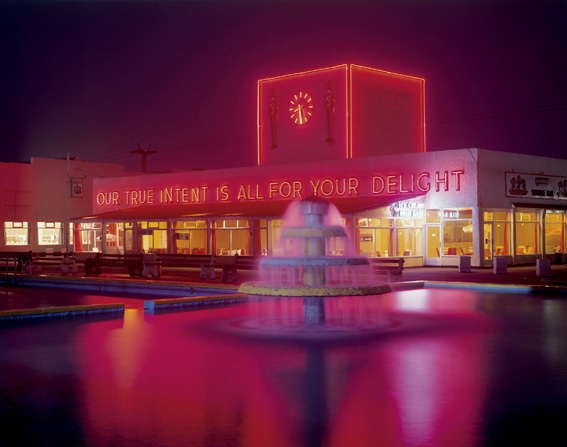 Our True Intent is all for Your Delight was published in 2005. 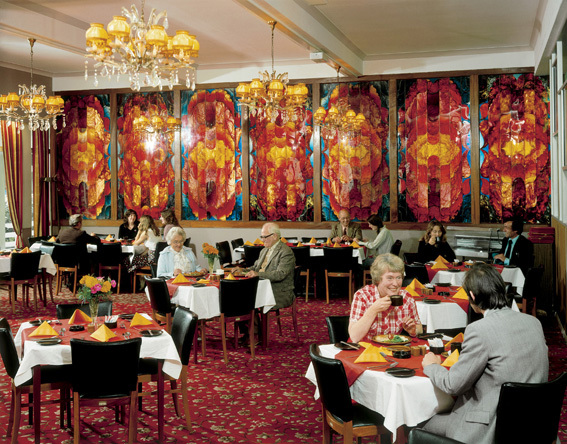 It’s interesting to note that the postcards had an impact on the young Martin Parr, who worked over two summers at Butlin’s in the early 1970s and introduces the images for this book. You can see how the photographs has had a lasting impact on his own photographic aesthetic – Martin Parr’s portfolio on Magnum website. 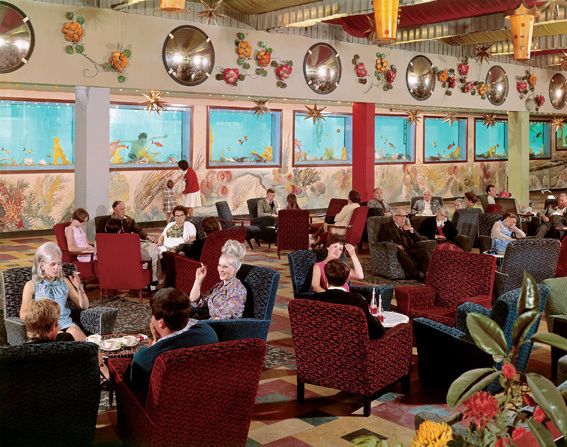 More than 10 million British holidaymakers have stayed at Butlins since then, and though modernised versions of the camps still exist, their glory days have long been over (que the new Ocean Hotel resort). There is an article on the John Hinde postcards written by Michael Collins in The Telegraph here. 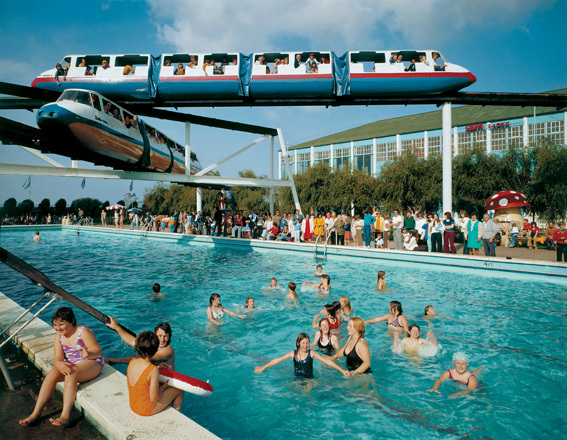 You can read a potted history of the Butlins resorts on the BBC website here. And here is a slideshow of photos from Butlins resorts in their heydey. This entry was posted on Wednesday, August 19th, 2009 at 8:53 am	and is filed under OTHER STUDIES. You can follow any responses to this entry through the RSS 2.0 feed. Both comments and pings are currently closed. This was very enjoyable. Thanks for posting it. 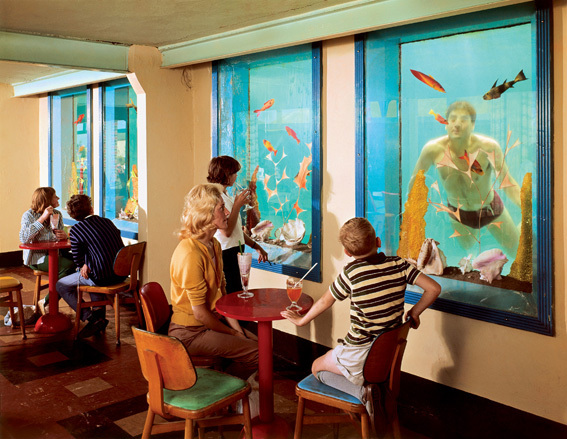 Those of you interested in John Hinde postcards may be interested in a book called ‘Nothing to write home about’, which is a collection of John Hinde postcards from the 1960s to 1980s, with the messages found on the backs. You can find out more on http://www.abadie.co.uk/postcards. It was featured on Excess Baggage with Sandi Toksvig. You may be interested also in an online archive of John Hinde postcards. The same people have also brought together 49 original prints from the restored transparencies which were used to print the postcards. you can see them here http://www.johnhindecollection.com/john_hinde_print_sales.html and in the flesh at The Photographers’ Gallery and at Art13 in March 13.